June 11, 1930 – Maryland; three members of the American Meteor Society reported seeing an incredibly bright meteor shower. It wasn’t the kind of evening a self respecting meteor watcher would have chosen to gaze at the sky. Overcast skies and a full moon were less than ideal meteor watching conditions. Despite the lousy conditions, and the fact no one else reported seeing them – they remained adamant about what they saw. 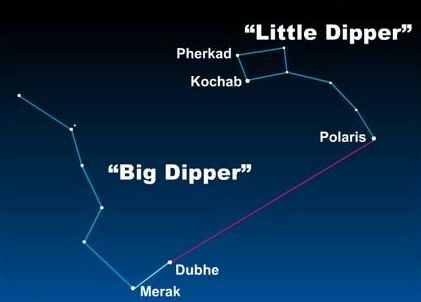 Scientists now believe it was the Gamma Delphinids, and 83 years later – they’re coming back -maybe. More of a best guess than a promise, chances are good that for as little as 15 minutes, an hour at most beginning 4:28 AM EDT, the night sky will sparkle with brilliant fast moving meteors. If you can’t find Vega; a bright star, easily visible as a frame of reference – download the Google Sky Map app on your phone. Perhaps staying up all night to maybe wish upon a star isn’t your thing; Sky Map will bring the universe to your doorstep – never again will you ponder what that object in the sky is called.